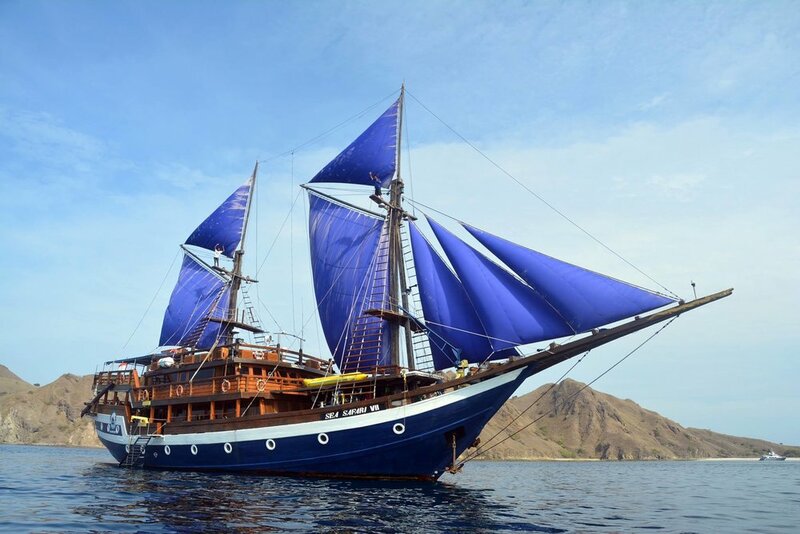 Earlier last month, scientists, artists, and leaders embarked on a 10-day boat expedition from Bali to Komodo, Indonesia, to document plastic pollution. Throughout the trip, the group encountered plastic garbage in the ocean--both on the surface and on the ocean floor––invading animal habitats and littering the most remote of beaches. The Coral Triangle is known for its vivid natural beauty, but in recent years, plastic pollution has become an increasing invasive species throughout the area. 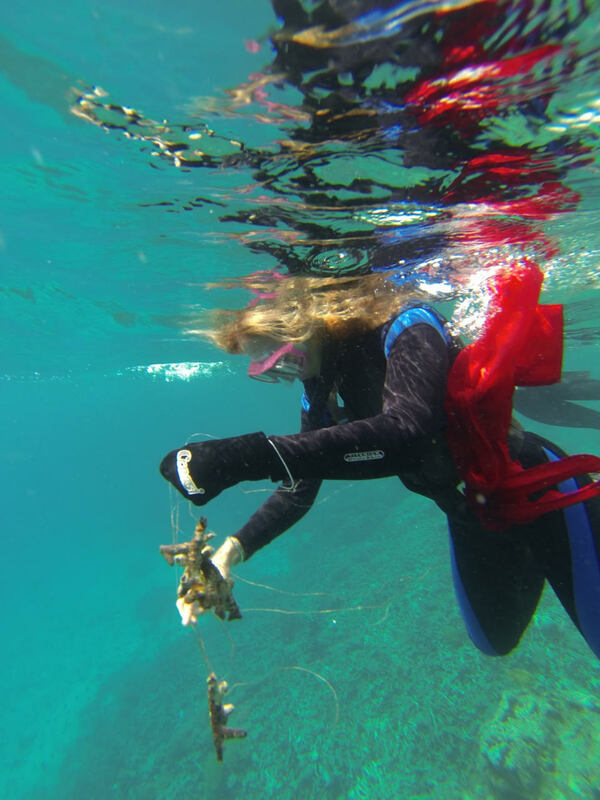 “There was not one beach or reef we snorkeled at in the 10 days we were there, no matter how remote, that was not impacted by plastic trash,” said Wayne Sentman, a leader on the expedition and Oceanic Society’s director of conservation travel programs. These organizations raise awareness and educate the community about plastic pollution reduction in Bali and throughout Indonesia. Pouillon works directly with waste collectors in Bali to improve waste management systems and has started a trash tech startup called Gringgo.co that helps Indonesian cities clean up plastic pollution. Bye Bye Plastic Bags is a social initiative started by two sisters in Bali. In just three years, the youth-led initiative has grown to 30 student volunteers and has pushed leadership in Bali to eliminate single-use plastic bags by Jan. 2018. 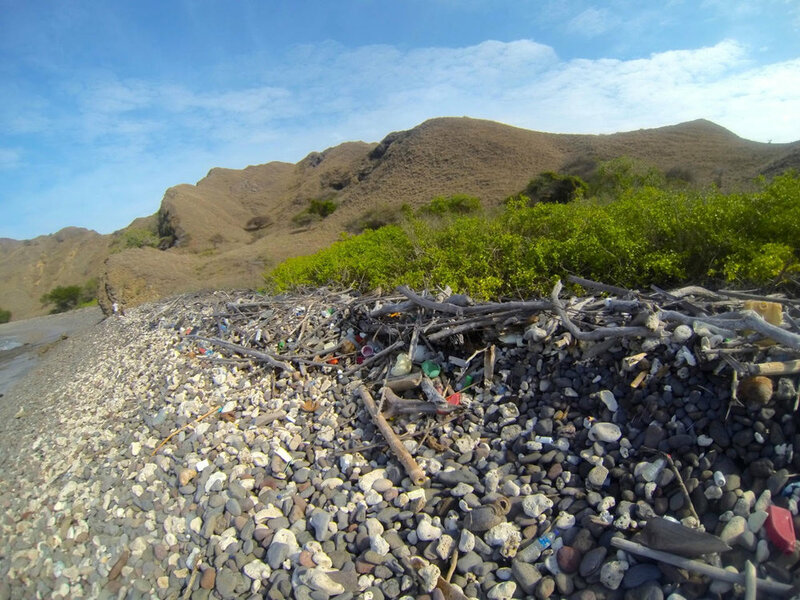 Local naturalist Amiruddin Using has implemented plastic reduction ideas and cleanups on islands throughout Indonesia. 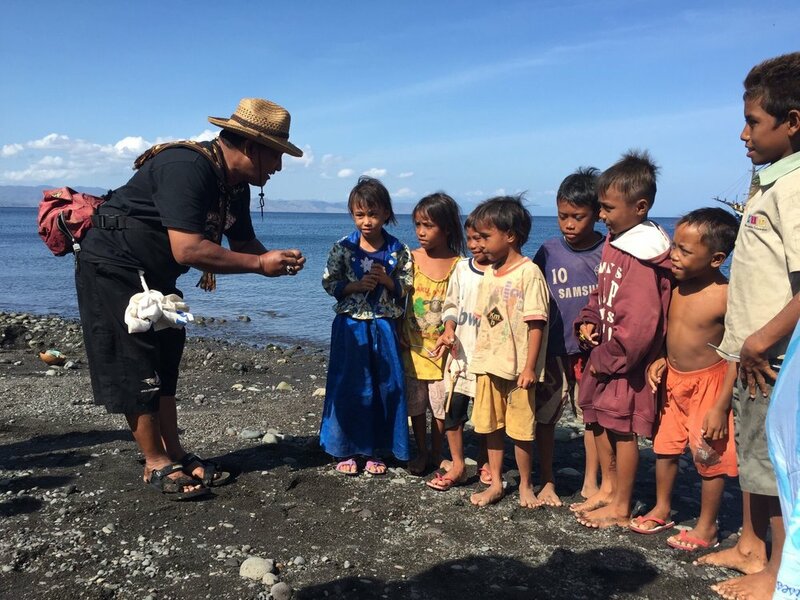 “Amir took the Plastic Free Island idea and single-handedly implemented it in Indonesia,” said Pam Longobardi, Oceanic Society's artist-in-nature, who first met with Using on the same expedition two years ago. Local naturalist Amiruddin Using (second from left) shows reusable cotton bags for collecting plastic. Members of the expedition retrieve sunken plastic. Photo by Amir Using. “Previously, my habit was just picking up plastic waste that I found on the shore and in the ocean,” explained Using, who in the few years has increased the scope of his work to helping local people and businesses reduce their use of plastics. Using brought members of the expedition reusable cotton bags, printed with “Plastic Free Island” to collect plastic garbage along the way. The most common types of plastic the group found were thin plastic disposable cups and straws (many discarded from cruise ships) and single-use packets of personal care items like lotion and shampoo. On one island, locals had devised a recycling program for these packets called Plastic Sampang (Plastic Bank), where women would weave the plastic wrappers into upcycled purses and bags. At one point on the water, a giant grouper fish came to the surface near the boat with its swim bladder exploded. The fish, likely over 50 years old, typically resides in deep waters. After putting the fish out of its misery, members of the expedition prepared and ate the fish for dinner. In the stomach of the fish? An old hook, a new hook, and plastic fishing line. “All the plastic items each of us found were messages from the ocean,” said Longobardi of the journey. “And the ocean is so clearly saying: help." This is Part 2 of a series. Read Part 1 here.